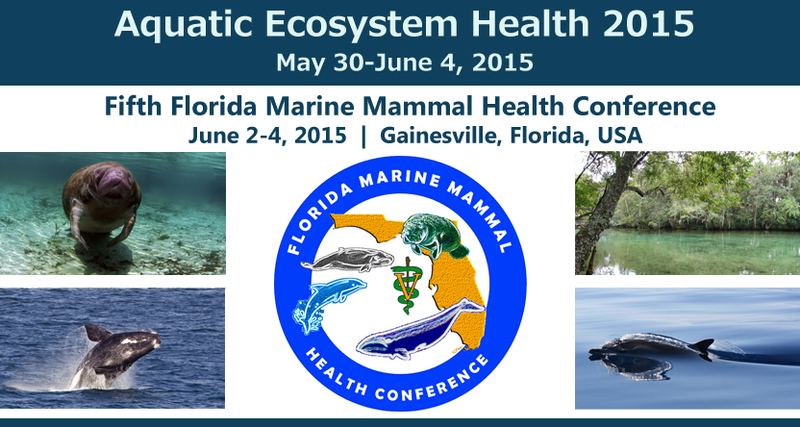 We invite you to join us for the Fifth Florida Marine Mammal Conference in 2015 as we join with the Third International Symposium on Ranaviruses for Aquatic Ecosystem Health 2015 to focus on the health of marine mammals in Florida in the context of broad aquatic ecosystem health concerns, including the emergence, evolution, and effects of the ranaviruses. The purpose of this conference is to address aquatic ecosystem health issues impacting marine mammals and other aquatic species in Florida. This conference will provide a forum for issues affecting Florida’s aquatic species, and provide an opportunity to review the impact environmental change has on their current health status, discuss future directions of investigation, and determine actions likely to produce benefits to their health and survival. The conference is designed to bring together scientists, veterinarians, managers, policy makers, planners and partners who are actively involved in and/or affected by all aspects of aquatic ecosystem health. Participants will interact in an interdisciplinary setting to summarize and review state-of-the-art science, healthcare, and management activities, with a focus on formulating goals and strategies for improvements. Attendees will have ample opportunities to share information regarding issues that affect marine mammals during topical discussion periods, poster sessions, and networking functions.